Nora Kovach has had many hospitalizations, one of which occurred during the 2009 “Have a Heart, Do Your Part” radiothon. Nora’s mother, Shannon, said the radiothon was awe-inspiring, and her family was able to directly benefit from it. To contribute to this experience and help other patient families, Shannon has signed up to be a Change Bandit to raise money for the “Have a Heart, Do Your Part” radiothon, which airs Feb. 13-15 on 98.1 WKDD. My daughter, Honnora (Nora), was born at Akron City Hospital and was transferred to their special care nursery shortly after birth. She was born without the ability to do normal things that infants should be able to do: She didn’t have a suckling mechanism, so she had to be tube fed. She couldn’t regulate her own body temperature, and she didn’t have the ability to regulate her own blood sugar. Also, her muscles were not as strong as they should have been. In addition, during feedings she would sometimes turn blue. After 2 weeks at Akron City Hospital, she was transferred to Akron Children’s Hospital for further assessment. The staff at Akron Children’s Hospital was a Godsend; immediately warm and welcoming, incredibly capable and immensely knowledgeable. We knew we were in good hands from the minute we walked in the door. A swallow study revealed that Nora had dysphasia. Her epiglottis was not closing over her trachea properly, so her food was going into her lungs causing her to stop breathing, and putting her at risk for pneumonia. She also had Gastroesophageal Reflux Disease (GERD), which means foods and liquids would leak backward from the stomach to the esophagus. A thickener was prescribed, and we were finally on our way home! A week after Nora was discharged, I found her blue in her crib. A quick hospital trip later, she was readmitted. It was found that she had sleep apnea, and she was discharged with an apnea monitor. Throughout each of these hospitalizations, the staff at Akron Children’s went out of their way to make us comfortable. The nurses were marvelous, quick to respond and incredibly attentive to our needs. The doctors were phenomenal; they listened to my input and opinions and truly included me in her care plan. The social work team was miraculous, and they helped me locate resources I had no idea existed. The level and quality of care were nothing short of extraordinary. 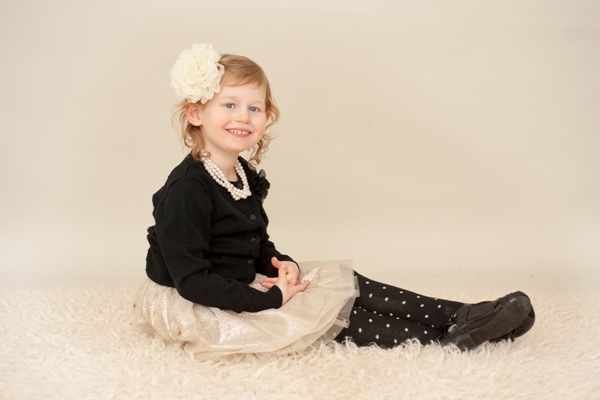 Nora’s final hospitalization at Akron Children’s occurred in February during the radiothon. It was astounding. The massive amount of people milling about in the atrium, the bells being rung, the passion and enthusiasm of the people working the event – it was awe–inspiring and touched me in a way I can’t describe. Volunteers from the radiothon came up to Nora’s room and gave her a couple stuffed animals, which she promptly fell in love with and snuggled with constantly. Nora also benefited from the radiothon in another way. She was able to receive an essential medication that my insurance did not cover – her food thickener. The thickener that she needed was expensive, and I would not have been able to afford it without the funds available for situations like ours, thanks to the radiothon. The care, compassion and comfort that the doctors, nurses and employees provide at Akron Children’s Hospital is unparalleled. To walk in the door and know your child will receive the best care available is comforting beyond compare. Akron Children’s Hospital truly is nothing short of miraculous.